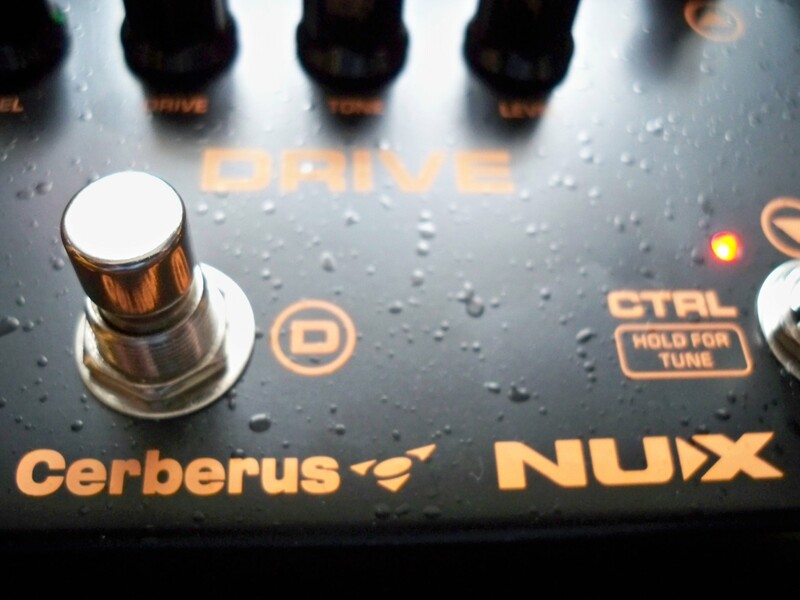 Cerberus, Multi-Effects for Electric Guitar from nUX. Being of 32-bit quality, the digital components are extremely clear in the mix. Coupled with the Analog Drive and Distortion, the Cerberus is a great sounding unit. 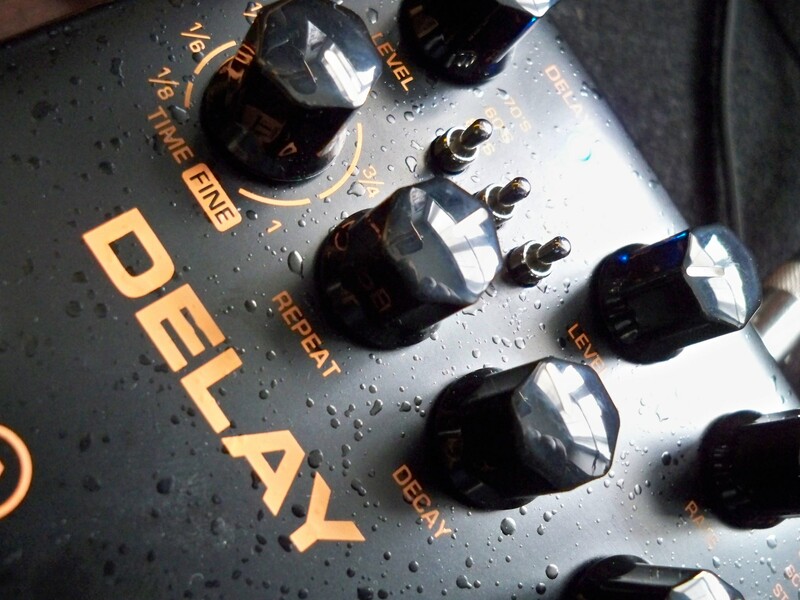 The delay and reverb are very distinguishable from the main tone – complementary, yet separated (not muddy). 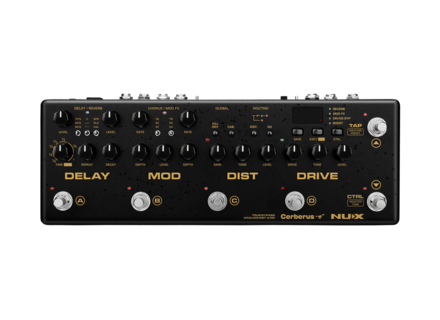 The Cerberus allows you to route the delay and reverb in different configurations, e.g., parallel (both act independently of each other), reverb into delay and delay into reverb. Obviously each produce different results and characteristics and both delay and reverb can be mixed with different depths, levels, etc. There are three chorus selections (from vintage to modern), and all have a good range in sound, without being dissonant or crass when turned up (the notes sound thicker and blend well within the tone). The Modern Chorus sounds fantastic when added to lead. The phaser is impressive, ranging from the subtle to very broad and sweeping, to the point of sounding as much flange as it does phase. The uni-vibe is very unique as it combines elements of tremolo, chorus, rotary and phaser, with each aspect seemingly standing out and depending on the depth, rate and level/mix. The drive is based on a Blues Breaker circuit, which is modest in gain, but it adds a nice amount of fullness and dirt to a clean signal – ideal when playing clean or when wanting a slight edge to some rhythm playing. The distortion is based on NUX’s Brown Anger (which has a British flavor), which seems to impress many who have reviewed the Cerberus. It has an excellent grain to it, sounds full and thick, and definitely analog. Turned up low and it makes for good crunch rhythm, and when turned up high rolls off nicely via a guitar’s volume knob. As you crank up the distortion past 1-o’clock the sound becomes increasingly saturated, which is fine and if you like that quality (up full and its super heavy sounding, ideal for Doom Metal and that thick fuzzy Psychedelic Rock quality). However, if you want to retain that grittiness, then keeping the distortion down (12-noon or even lower) while pumping some drive into it is the answer. 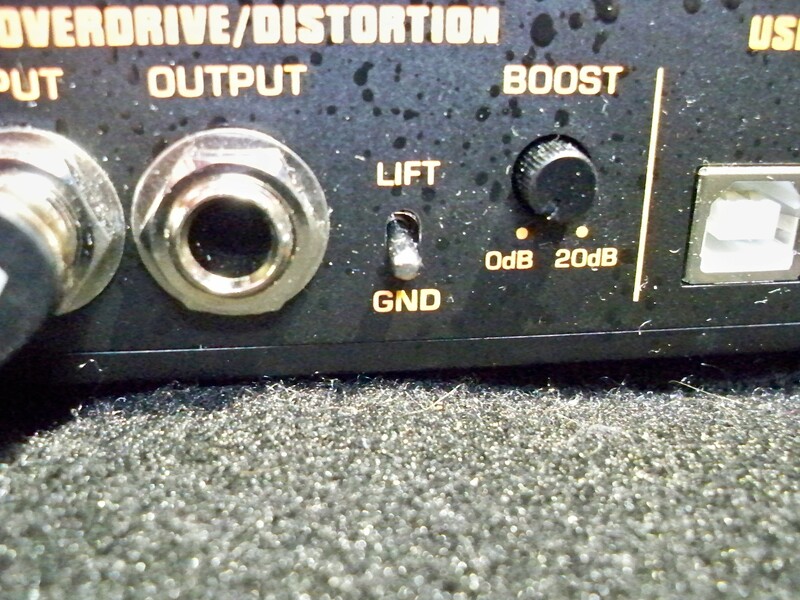 Similar to the delay/reverb, you can route the drive and distortion in three different ways: distortion into drive produces a darker and fatter tone, running the distortion and drive parallel (so neither affects the other) produces a clearer quality, and drive into distortion (likely the most common setup) produces a result somewhere between the other two. There’s also a built-in 20dB Boost that can be triggered with a foot switch – even when turned down to its lowest level (controlled at the back) it is very noticeable and seemingly loud enough. 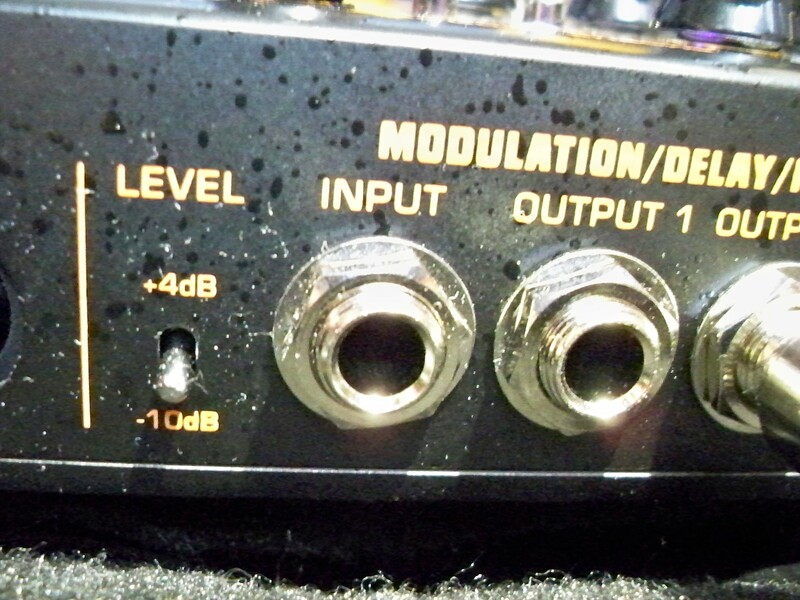 Obviously how the drive and distortion sound will be affected by the Cab or IR (impulse response). The Cerberus comes with eight built-in cabinets from which to choose, but you also can upload third-party IRs and purchase additional IRs from NUX (wave file format). There are several integrated effects units on the market, and at $299 USD you get a lot for your money with the Cerberus. Considering buying a boost, a drive, a distortion, a delay/reverb and a modulation pedal (as well as a pedal board to keep them organized and fixed) and you definitely will exceed the price of the Cerberus. 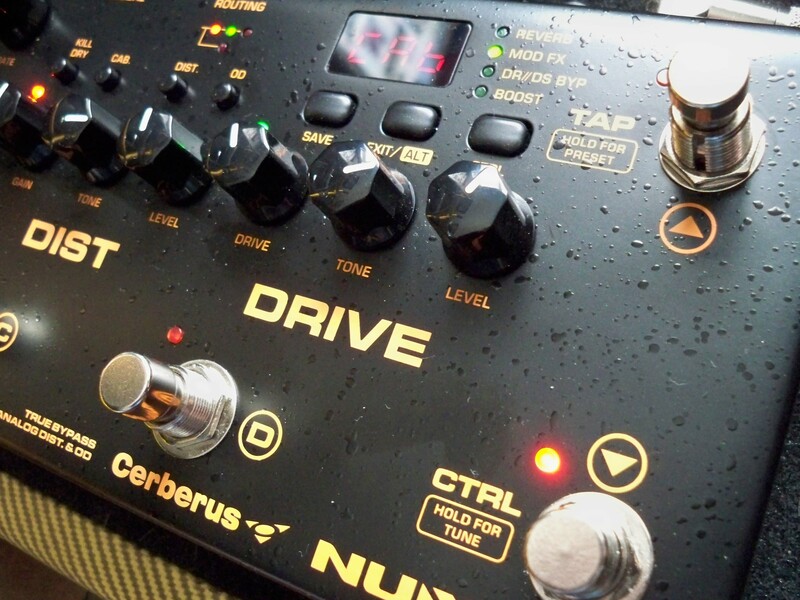 Not only that, the 32-bit quality digital effects coupled with one of the best sounding drive/distortion combinations (both of which are analog, Blues Breaker + Brown Anger) make the Cerberus one of the best values in the integrated pedal category. 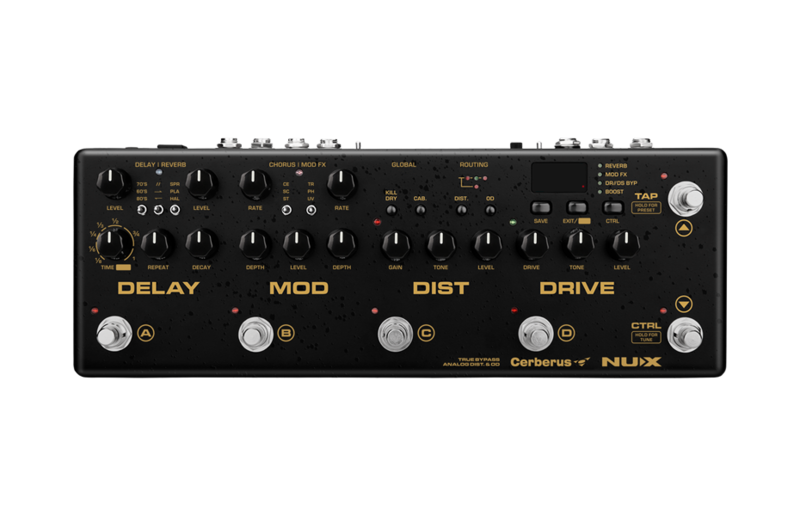 As well, you can route the delay/reverb and the distortion/drive in various configurations (e.g., drive into distortion, distortion into drive or run both in parallel) and integrate the Cerberus in various ways with your other gear (amps, pedals, etc.). 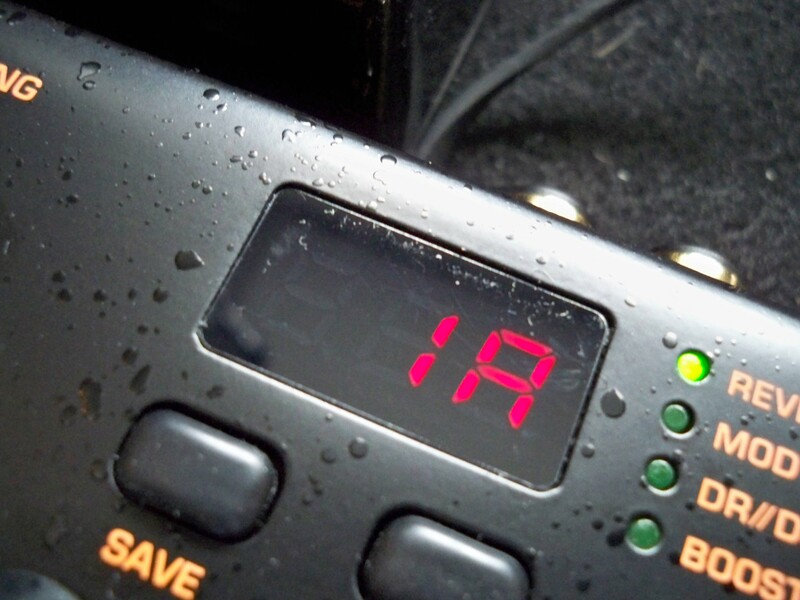 Although the Cerberus is partly analog, you still are able to store 128 presets (16 built-in with the remainder blank) and recall those settings at the stomp of a switch. The unit comes with eight built-in cab simulations, for a host of varying tones, and you can upload 3rd party cabs or purchase additional ones through NUX. This makes it ideal when running the Cerberus direct to a PA, although you can bypass the CAB function and go direct to your amp. 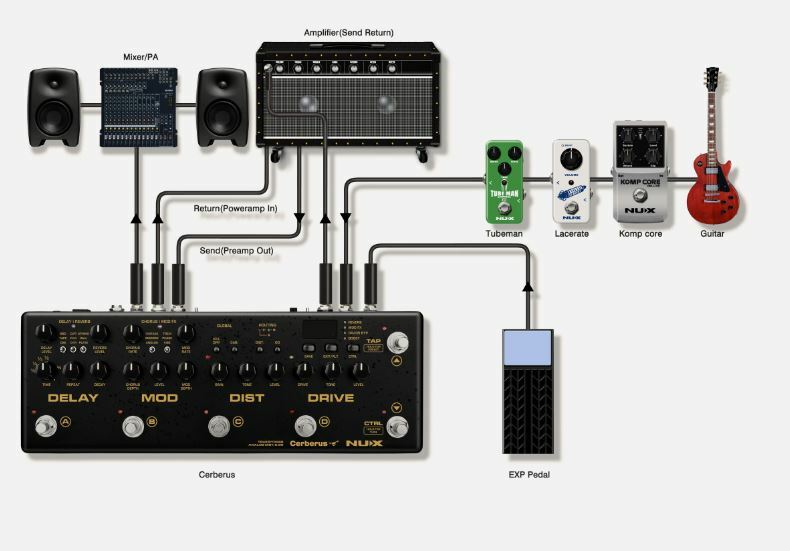 There is a built-in tuner and you can attach an expression pedal, which acts as a volume pedal with the Cerberus, route other effects between the distortion/drive and the modulation/delay (so that your add-ons come after the drive/distortion), control your gear via MIDI and get firmware updates via USB (cable not included). Ideal for studio use, the Cerberus is great for rehearsal or practice when you don’t feel like hauling a full pedalboard, and obviously perfect for travel since it has a built-in headphone jack for quiet practice. Although seemingly complex at first, the Cerberus is not difficult to use with only an hour or so of tinkering – and once you dial into some good combinations you can save them to one of the 128 presets/patches. If you check out the demo video, I work through the Cerberus starting with the delay, which offers up Tape, Analog and Digital. You can select the Time via the tap temp switch or with the dial to fine-tune (you can see the milliseconds in the pedal’s window to zero in on your timing); the delay’s time dial also selects tempo subdivision (e.g., eighth notes). 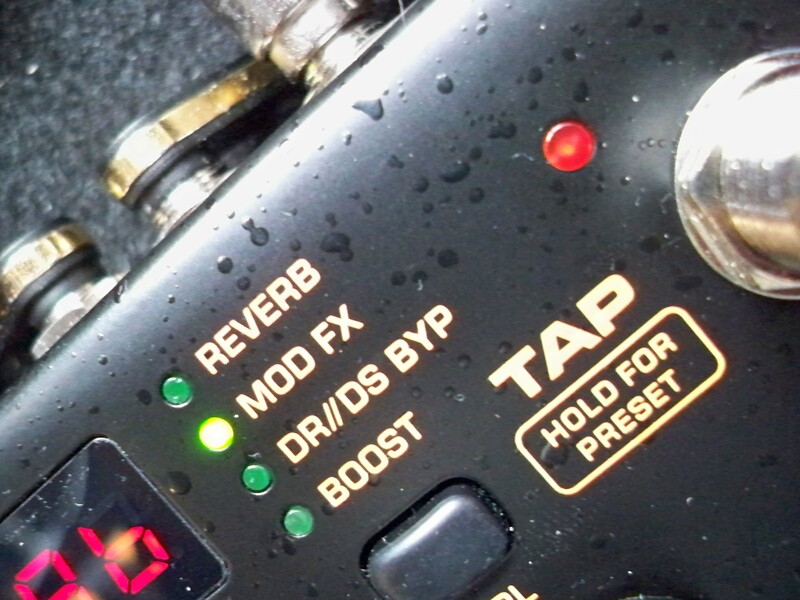 Reverb can be added or removed via the Control foot-switch (which also turns the modulation, drive/distortion and boost on/off). 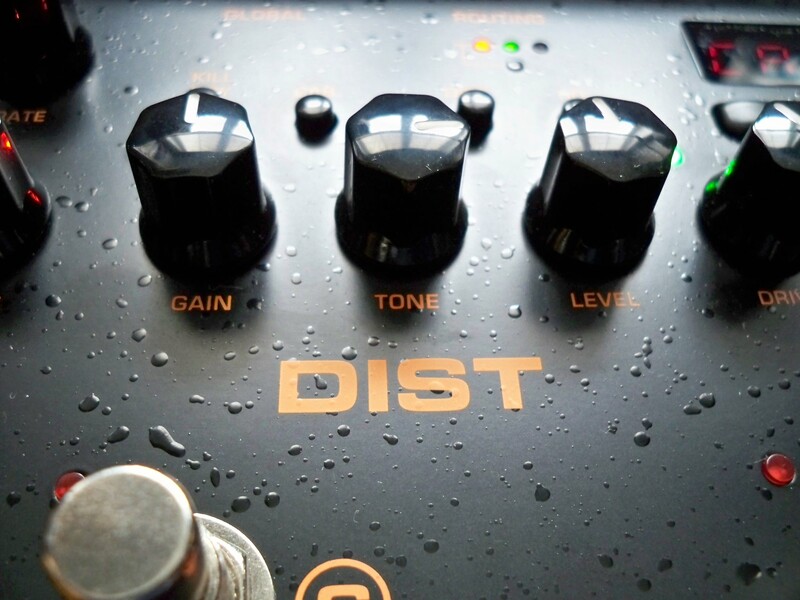 The Modulation section includes three types of Chorus, as well as Phase/Tremolo/Uni-vibe – the Chorus turns on/off via the footswitch in the Modulation section, whereas turning the Phase/Trem/Uni-vibe on/off is done via the Ctrl footswitch. This may seem odd or clumsy until you get used to the unit and, as stated, you can save any setting group as a preset so that all the fiddling is done once. Each aspect needs to be set, including the Level and Repeats of the Delay, Level and Decay of the Reverb (and what type under each) – the same with the Modulation and the same with the Distortion and Drive. This is no different from any pedal or amp. Allowing you to save these settings definitely is a plus, and particularly since the Cerberus offers you the ability to route the delay/reverb and the distortion/drive in various configurations; having the delay/reverb run parallel sounds very different from the delay going into reverb or the reverb into delay. Likewise, tones are very different if you choose to run the distortion/drive in parallel or the drive into distortion or the distortion into drive (or if you want one and not the other). The Cerberus has four preset switches on the front, which gives access to four selections at a time (without scrolling through banks), such as a clean with reverb, a clean with delay/reverb and some chorus, a crunch rhythm and then a lead (with or without boost). You can create 32 groupings (of 4) or banks like this, making it ideal for gigging and having each bank represent a different song. Banks are scrolled through easily via two footswitches at the far right of the Cerberus (the Tap Temp and Ctrl footswitches scroll up/down when in Preset/Patch mode). As well, whether in Manual mode or Preset mode you can edit (and save if desired) any settings. An integrated pedal board, the Cerberus does not feel heavy for its size (I presume an aluminum chassis). Of decent size for a fly rig that contains so much, the Cerberus measures 12.6 (l) x 4.3 (w) x 2.6 (h) inches (32 x 11 x 6.5 cm). 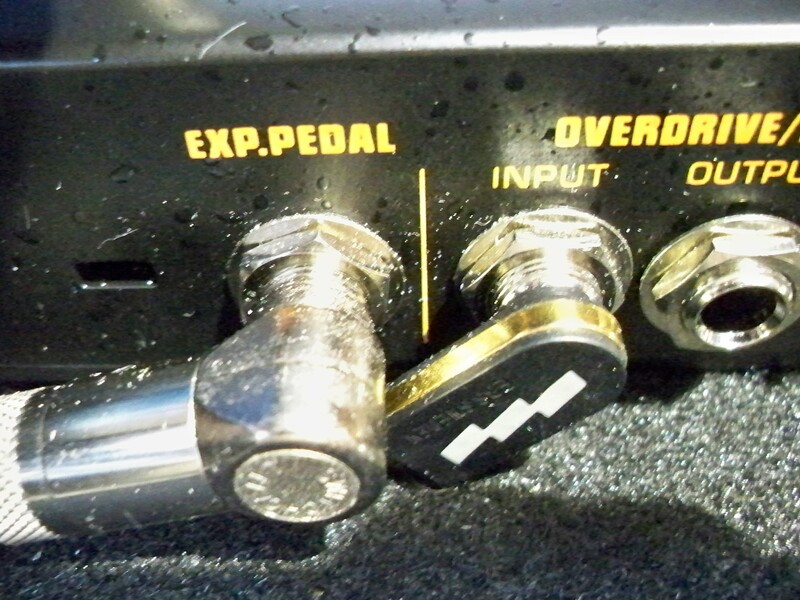 There are six foot switches, five of which produce a solid click when stepped on (no noise detected when engaging or disengaging either the drive or distortion), whereas the tap tempo is a soft switch. The footswitches have close proximity to the various knobs, but are at a higher level and should not pose any issues with regular use. There are fourteen knobs, all of which seem to be of heavy plastic, attached to pots that are smooth and solid in feel when turned. 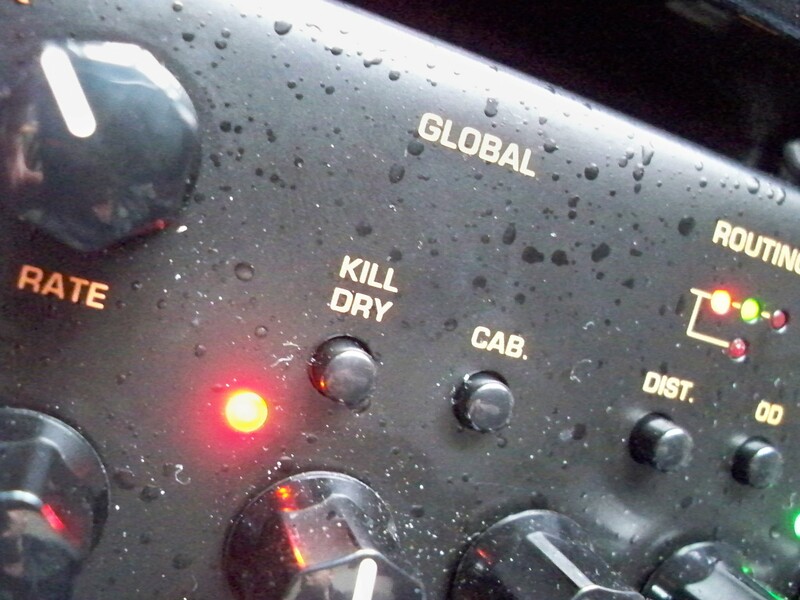 There are five toggle switches, all of which feel solid when selecting parameters. There are seven push buttons that feel solid during use. All inputs are located in the back, including MIDI In, Expression, Headphones, Power and Stereo Outs. 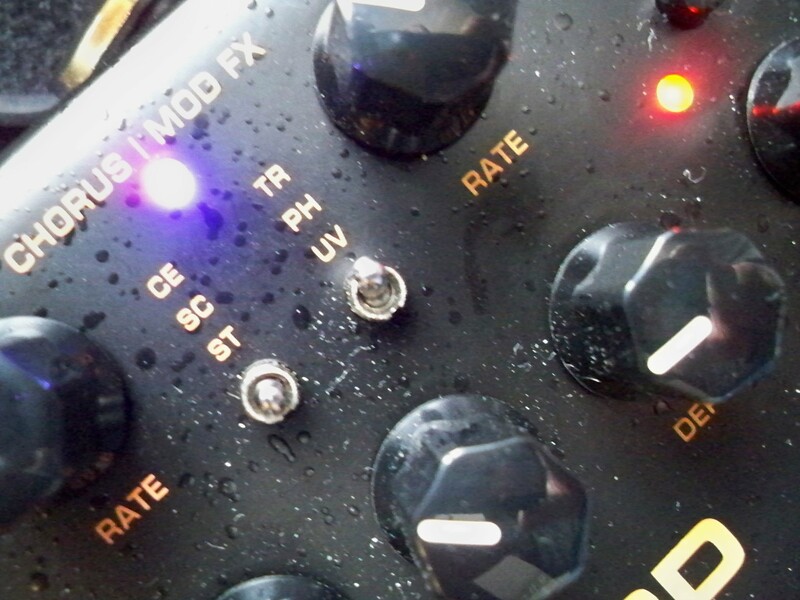 The ten on/off LEDs on the Cerberus are low profile and will not be damaged from regular use of the pedal. The textured powder coated paint is exceptional and so wearing and chipping should be limited. 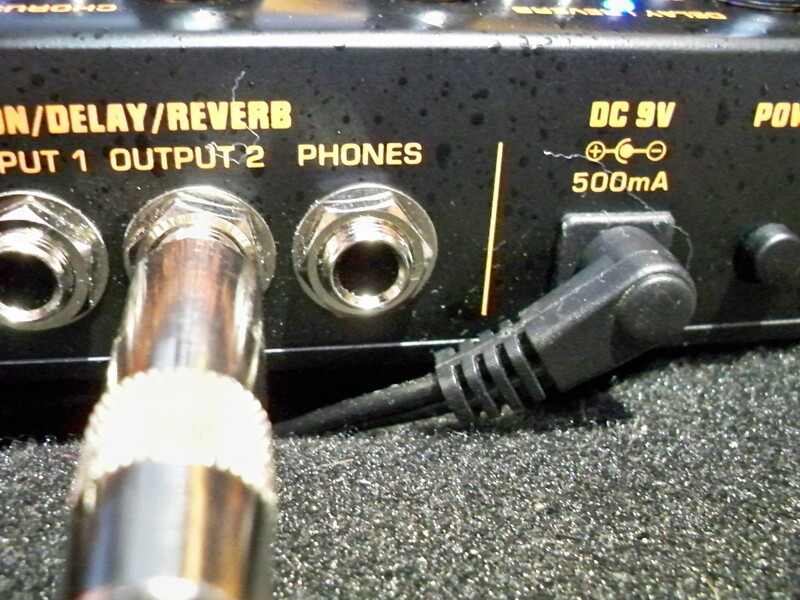 Surprisingly, and although the Cerberus offers several effects, the unit requires a standard 9VDC power supply while drawing only 500mA of power (available with some pedalboard power supplies), which means not having to purchase any special adapter (the Cerberus does not come with an adapter). Do note that the manual indicates 275mA of current draw, whereas the back of the unit states 500mA.